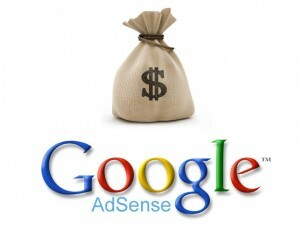 On May 14, 2013 I have applied to join Google AdSense. Unfortunately, after they reviewing my application, there are unable to accept my application because insufficient content. "Insufficient content: To be approved for AdSense and show relevant ads on your site, your pages need to have enough text on them for our specialists to review and for our crawler to be able to determine what your pages are about. - Make sure that your pages have sufficient text - websites that contain mostly images, videos or Flash animations will not be approved. - Your content should contain complete sentences and paragraphs, not only headlines. - Ensure that your website is fully built and launched before you apply for AdSense - do not apply while your site’s still in a beta or “under construction” phase or only consists of a website template. - Place the ad code on a live page of your website. It does not have to be the main page, but test pages that are empty except for the AdSense ad code will not be approved. - Provide a clear navigation system for your visitors so that they can easily find all of the sections and pages of your website. - If you’d like to monetize YouTube videos, please apply for the YouTube monetization program (http://support.google.com/youtube/bin/answer.py?&answer=2490020). Note that blogs and websites that contain only videos will not be approved."